Synopsis: Henry Livingstone is met by intelligence agents and recruited for a humanitarian mission into space exploration, or so he is told. His transpersonal skills have qualified him for the job and he is happy to help... until he meets Gael that is, the Welcoming Coordinator from the Planet Ixnor. Livingstone soon discovers that "space travel" is not the only agenda Star 1 has onboard and along with an arsenal of nuclear warheads the earthmen set about pillaging Ixnor's natural resources. What the earthmen do not know is that the Ixnorians have long since transcended war and crime and that Livingstone, the only one capable of returning Star 1 to earth, is secretly falling in love with Gael. Will Livingstone's loyalty to earth remain intact or will his love for Gael save the planet Ixnor from an imminent Invasion of the Earthmen? 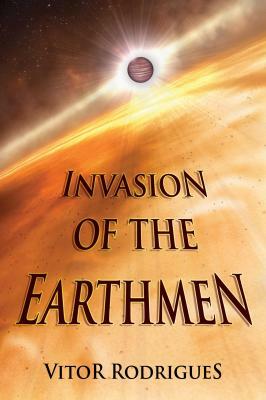 Vitor Rodrigues' epic novel "Invasion of the Earthmen" is a science fiction adventure into the areas of space travel, translocation and personal transformation. Every idea, plot, dialogue and character has been written from someone who knows what it means to experience enlightenment and is willing to share his wisdom and his passion for humanity with the reader. About the author: Vitor Rodrigues is a psychologist and psychotherapist and lives in Portugal with his beautiful wife and 9-year-old daughter. Vitor graduated with a PhD in Educational Psychology and has taught Educational and Developmental Psychology at the Universities of Lisbon, Evora and Algarve. He was the President of the European Transpersonal Association (EUROTAS) and is the author of 10 books including, "General Theory of Human Stupidity", "The Heroic Consumer" and others. Confident leading workshops, developing courses and teaching in the fields of hypnosis, regression therapy, meditation, transpersonal psychology and parapsychology, Vitor is well known and appreciated by all who come into contact with him. Review: Really good book and it was easy to get into and l highly recommended this book to anybody and I was sent this book for review and l would tell people that you should step outside your comfort zone with books because it's good to add more authors and genres to your reading portfolio even if you don't read books like this and it was a real enjoyable storyline. This book was sent to me for review and l found it hard to put down once l started reading it.